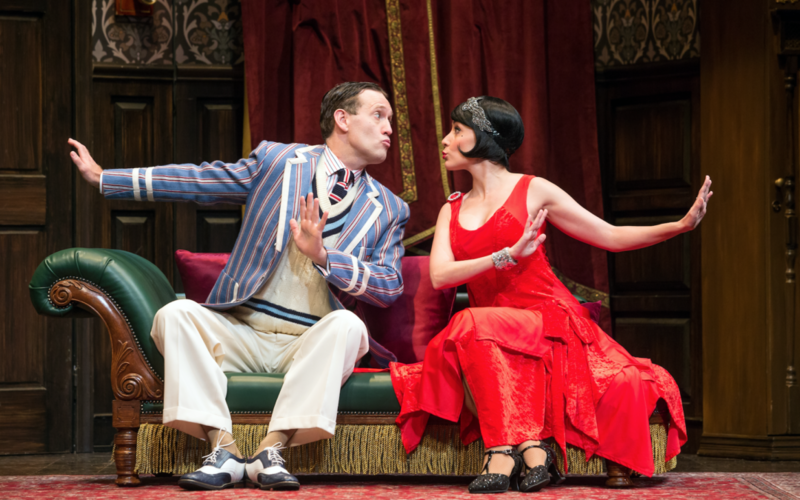 As one of the longest-running Broadway plays, “The Play That Goes Wrong” has entertained audiences for several years now. Last night’s premiere at the Tennessee Performing Arts Center was no exception. Before the play begins, the cast has audience members reeling with laughter. As everyone took their seats, stagehands hurriedly worked to finish the set on stage, which continued to “fall apart.” One audience member is even called on stage to hold up a mantlepiece that refuses to stay on the wall. To help set the scene, Chris Bean proudly introduces “Murder of Haversham Manor,” a whodunit being produced by the inexperienced Cornley University Drama Society. He shares with the audience previous plays the society has put on including “The Lion and the Wardrobe” and “Cat” — an indication to the quality of performance the audience will witness. Although cast members forget their cues, props go missing and the set comes crashing down, “The Play That Goes Wrong” features many skilled actors and actresses. In fact, the actors are very good at being bad. The hilarious banter and sometimes shocking physical requirements of the play grabbed the audience’s attention. At one point in the evening, a part of the set is knocked down and leaves two cast members balancing themselves to avoid falling. This scene caused many audible gasps and left the crowd impressed with the strenuous effort involved. This hilarious play is sure to captivate a wide variety of audience members and provide a great night of entertainment. For more information on how to get tickets, visit TPAC’s website and follow them on social media.